With the sales team being the front line in the quest for success in your organization, the need to strengthen their abilities as a team and equip them to function as efficiently as possible becomes paramount to their effectiveness. From businesses with small sales teams, to ones with a sales force of hundreds or even thousands strong, there are a number of challenges they can face that are unique to the sales organization. The ability to communicate easily and collaborate as a unit are perhaps the most common circumstances, and while CRM software is said to make the lives of the sales team better, there is another technology that is gaining ground very quickly … sales collaboration software. Whether an in-house sales force or a network of channel and partner sales representatives, the sales organization is often a widely spread, very mobile organization that is scattered across locations ... working remotely and always on the move. Communication and content is a lifeline for the organization, but the common complaint is that there is no unified platform they can use to communicate and work with each other. This often creates large numbers of sales representatives working as islands with no sharing of intelligence, best practices, or a coordinated effort -- which, could otherwise result in more efficient working and perhaps better revenues. As for management, there are other challenges, such as the need to send out individual communications to each sales rep -- the alternative is to email their communications and content across the entire sales force, even though most of it may not be relevant to each rep ... again creating an inefficient process. Training and development of new and existing sales reps is a constant concern with high employee turnover rates and the need to constantly update and enhance the skills and information throughout the daily working process. So, how is sales collaboration software going to address all this? Building a social intranet platform for the sales force is a great strategy. 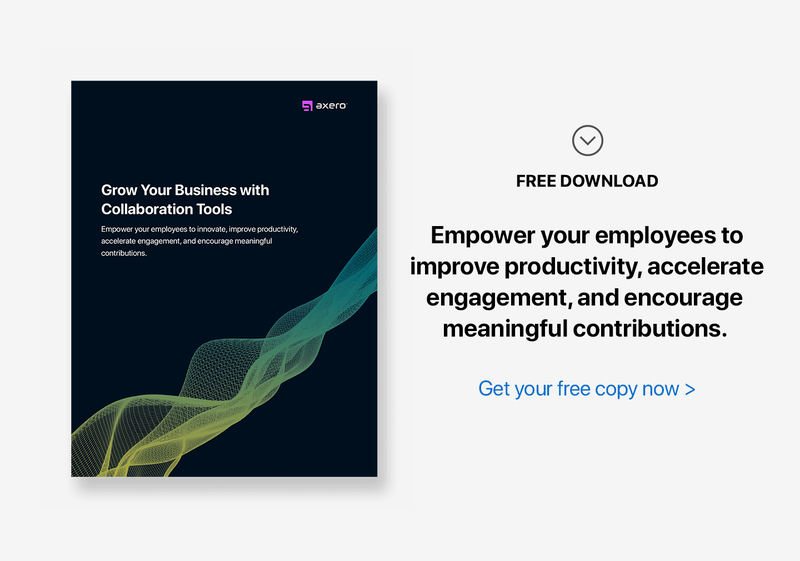 Sales teams at IBM, CISCO, T-Mobile, and many others have already experienced the positive results of leveraging collaborative social software for their sales initiatives. Greater sharing of knowledge & best practices - Collaboration and social networking environments foster the sharing of information and experiences, which, among sales organizations, translates to a widespread sharing of best practices. These best practices, which are posted by members of the sales team on the job, come from practical experiences with customers -- and the practice of knowledge sharing alone helps build a better sales organization. Rapid turnaround time in getting answers to questions - Companies have seen that, with the ability to simply log in to the community and post a question on the discussion boards or forums, sales reps and channel sales agents find it easy to ask questions regarding product updates and other topics. What’s more, is that with all the other members regularly on the network, questions get answered quickly, ensuring everyone is on the same page. Better objection handling - When sales reps come across customer objections while selling, and post them within their network, they are replied to with multiple suggestions for handling these objections from others within the community. With everyone collectively pitching in on how to manage these objections, the learning curve increases, and everyone gains from better success rates. Constant pull-based learning & development process - With the constant discussion, conversation, presentations, blog posts, videos, webinars, and other useful content, the network also acts as a platform for continuous learning. Since this kind of information is not regularly pushed on employees, it’s not seen as something they are forced to learn, and rather, they are encouraged to participate in posting, consuming, commenting on, and sharing content by seeing others do the same. Single platform for distribution of content - Rather than emailing each sales rep, or going through the other extreme of emailing the entire sales force with content and material that may not be relevant or useful, the sales collaboration software provides a single platform to which content can be posted. Sales reps can simply login and take what they need now, whether it’s a product guide, specs update sheet, or marketing collateral. This makes it easier for management to distribute content and spares the sales reps from being bombarded with unneeded content. Single platform for communication and planning - Perhaps one of the biggest plus points for management is having a single platform they can use to communicate with the entire sales team, no matter how far they are spread and where they are physically located. Whether it’s sending out important notices or planning campaigns that need groups of sales reps to participate and discuss, the network provides a platform to communicate, plan, and execute what may otherwise be a daunting task. Visibility into operations and recognition of performers - Sales collaboration software brings a greater level of transparency into the sales organization and puts information that would otherwise be slipped under the radar in front of them. Management can spot performers and contributors, and spread the word on achievements to recognize outstanding sales reps -- which can also motivate the sales community as a whole to push the envelope and do better. In short, sales collaboration software can bring a new level of cohesiveness to your sales force -- and a unified sales force is powerful. Quicker spread of information, better ability to plan and interact with each other, and better communication can be targeted by building a platform exclusively for sales employees -- and a lot of businesses can benefit from the results seen by those who have been front runners in this space. After all, if the goal is to push revenues, what better way than to equip the sales organization with the technology they need to bring home the results?